It’s that time of year. Wanderlust has begun to nestle itself comfortably in the back of my mind, surrounded by a bunch of fluffy pillows, waiting for me to come under the blanket with it and escape one world for another. As always, the invitation is hard for me to resist. When I cannot fully escape, at least I’ve got TwT. Boat through the leaves. 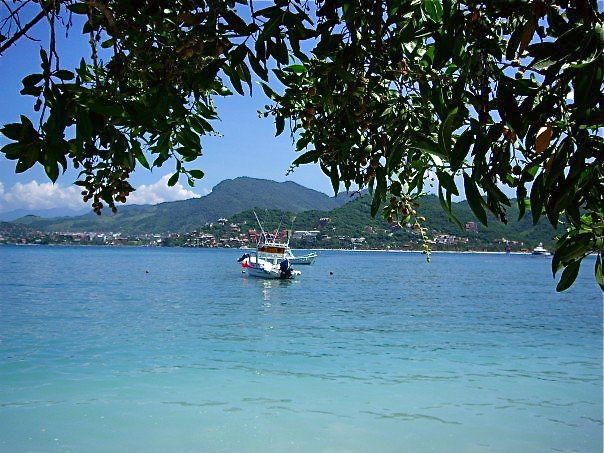 Zihuatanejo, Mexico. 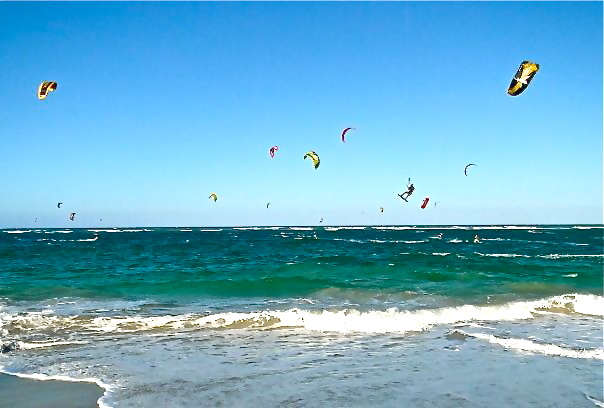 Kite surfers in Cabarete, Dominican Republic. 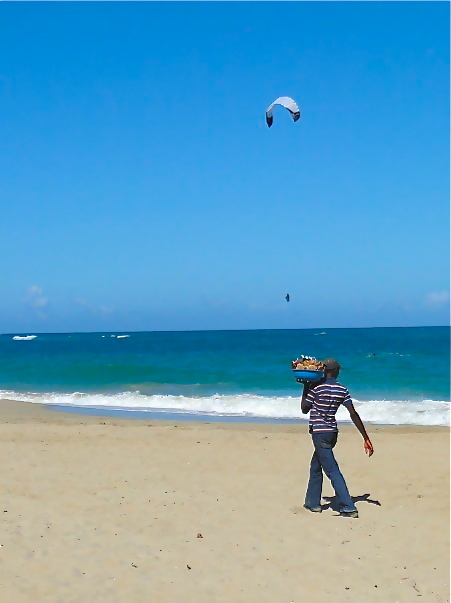 A Haitian man selling snacks on the beach in Cabarete, exactly two weeks before the earthquake hit Haiti. Cabarete, Dominican Republic. 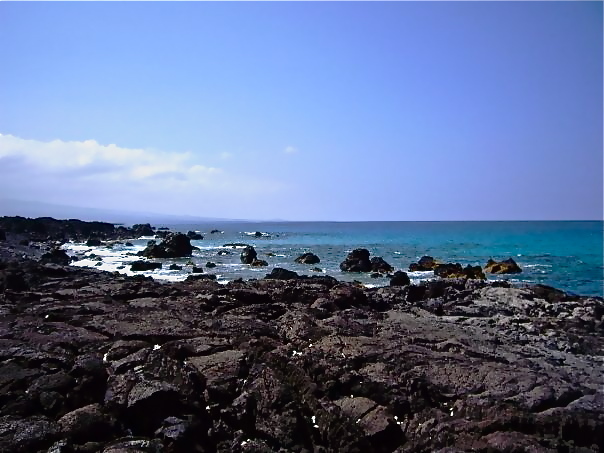 Lava rock and ocean in Kona. The Big Island, Hawaii. 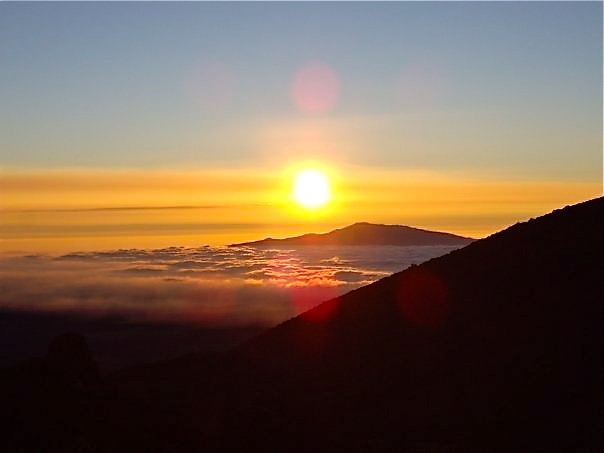 Sunset above the clouds, from the top of Mauna Kea (10,000 feet up). Big Island, Hawaii. 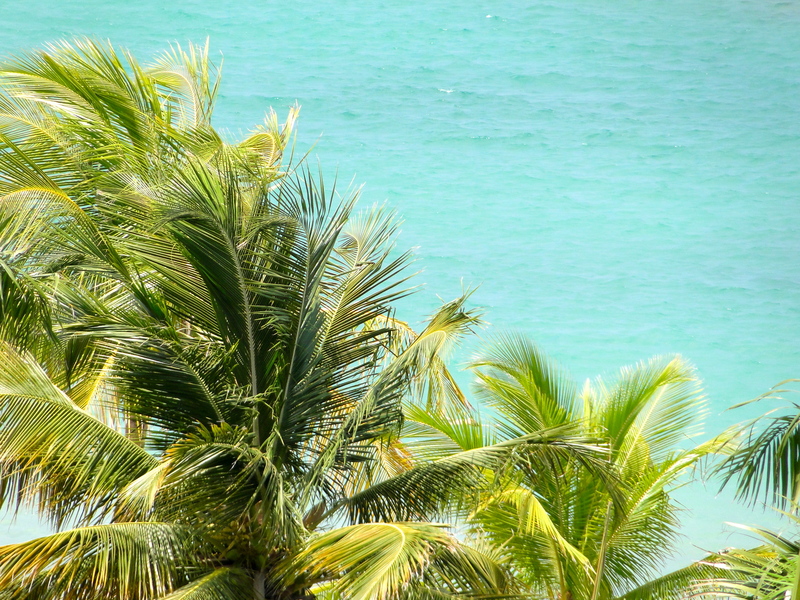 Palm trees and ocean. San Juan, Puerto Rico. Wellington, New Zealand, stole my heart long ago. I’m ALWAYS dreaming about it, no matter where I go in the world. Beautiful photos! Yes… New Zealand would do 🙂 I know the feeling. Thanks for sharing! Oh my goodness… Calabria. Good thought. MUST go there some day too. Count me in for some water curing too! Thank you so much for sharing, Lesley! My current pick is New Zealand and Australia. OR anywhere WITH YOU!? OMG, Telsanimal!! Don’t tease me. I have the entire month of January off. Let’s go somewhere!! Somewhere HOT of course… 🙂 Hehehe. Miss you! !